Caught the 10-Car R179 A train at 168 Street bound for 207 St. Maybe they corrected whatever issues were happening? Random - How come the interior door lights (I don't know what the technical term for it is) on the R179 are so obnoxiously big compared to what they usually look like? The only other car that also has obnoxiously big interior door lights are the R46. Any updates on the location of the 10-car R179? I wish they would have at least re-grout the walls to really give the station that sparkly new look. Other than that... looks really nice to me! I agree. Her announcements are clear, even though some people say that she sounds like she is yelling. Given the different voices were hear on the NTT of the NYC Subway, it's a given that some may find certain voices more pleasant than others. This is the breakdown of announcements by lines: - Diane Thompson - Jessica Ettinger-Gottesman - Kathleen Campion - Catherine Cowdery I'm not sure why I find that the announcements on the are different from the rest of those that are announced by Catherine Cowdery. Does anyone else pick up on that? Anyway, if it were up to me, I would have Jessica Ettinger-Gottesman be the ONLY voice for the entire subway system, while Charlie Pellet announces transfer points and 'Stand Clear Of ThE Closing Doors Please'. I think that Jessica's announcements are the most crisp and clear announcements. What do you all think? Who is your favorite voice? And... What is up with those R143, those announcements are played so low it is almost impossible to hear. Is that something that the C/O can adjust? You are absolutely correct. There is a timer just north of the southbound track. As you said, the train nearly comes to a complete stop right before it enters the station, and then crawls in. I remember a few years ago, those southbound trains would fly into 125 Street Station, while the and crawled in. I believe the and crawl in due to the switch to the middle express track just south of the station. Perhaps the driver let people off at that stop based on a personal choice? But I've been on several BxM6 buses where the driver drops off at that corner. And yes, any line can have delays, but the delays on Lexington Avenue are like a regular everyday thing for lack f better words. The trip was 50 minutes from Wall Street to Simpson Street, not including the ride on the Bx5 bus. This morning I got on the at Simpson Street at 7:56AM and arrived at Wall Street at 8:47AM. A total of 51 minutes, no delays at all. This will definitely be my commute moving forward. 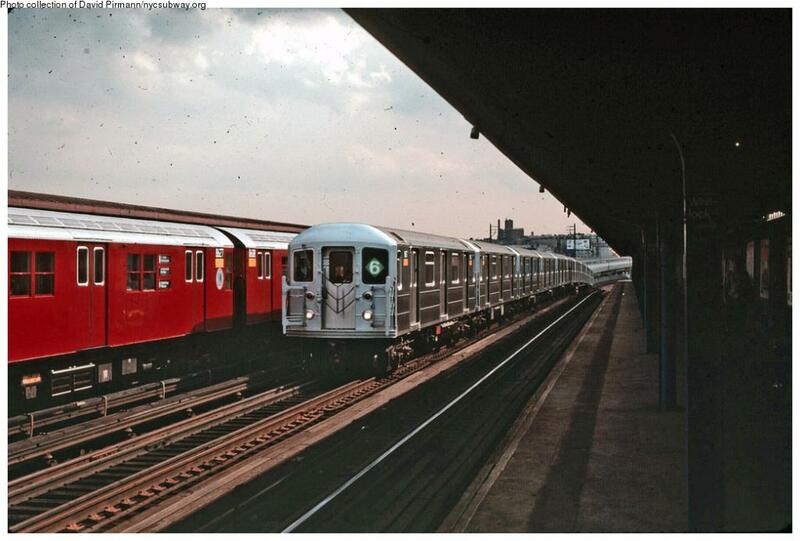 Goodbye Lexington Avenue Line! Its interesting because the BxM6 makes several stops once it comes off of the Sheridan Expwy and before arriving at Parkchester. It stops at Harrod Avenue (near the Bronx River Houses) and at Rosedale Avenue & Cross Bronx Expwy. I think a stop on the BxM8 at Morrison Avenue & Bruckner Expwy would greatly benefit those who live in Soundview. I made the reverse trip home this evening... Took the from Wall Street to Simpson Street, and the trip was 50 mins total. If the trip takes the same amount of time during the morning rush, this will be my route moving forward. I don't mind standing, so long as the train is moving. There is no express bus service that serves the immediate neighborhood of Soundview. The BxM8 will leave me at White Plains Road and Bruckner Blvd, which is quite a walk from Story Avenue & Boynton Avenue. I find that the , while usually significantly crowded, it isn't plagued with the slow speeds that the and experience. I find that even if there are no delays (ie. sick passengers, train w/ mechanical problems, signal problems) the and have more trains on the tracks and more timers and tight curves or difficult station infrastructure than the and . So in general, it is just super slow during the morning rush. So I've gathered that the may move faster than the or through Manhattan. I know there are timers outside of Times Sq-42nd Street, and the tight curves between Chambers Street & Fulton Street... But even with all of that said, I think its worth a shot on the . I've been attending a training near Bowling Green for the month of January, and I have been taking the trains downtown on a daily basis. I commute from the Soundview neighborhood of the Bronx, which means I have to take the Bx5 bus to the train station to either Hunts Point Av or Simpson Street . At the beginning of the month, I was taking the Bx5 bus to Simpson Street for the to 3rd Avenue, and transferring to the . For those who may not be familiar with the service pattern on the White Plains Line during morning rush hours, trains run express from East 180 Street to 3rd Avenue-149 Street while the makes all local stops. Well, I aborted that commute after the first week because the chokepoint south of Jackson Avenue most of the times holds up the trains at Jackson while the gets to proceed into 3rd Avenue. Then, I have to wait on the platform at 3rd Avenue for the . Then, there is the chokepoint south of 138 Street-Grand Concourse, where the and merge. The commute was just simply taking too long.... And lets not even get into the Lexington Av run. So, I began to take the Bx5 bus to Hunts Point Avenue for the to 125 Street, where I can transfer to the and . The ride to 125th on the Pelham Line is usually ok, however, the run on Lexington Avenue Express is MISERABLE! The ride usually from 125th to 86th Street is flawless! Usually a smooth ride, however, once that train pulls out of that station it is a stop & go or a snail race all the way down to 14th Street-Union Square. I understand that there are timers outside of Grand Central station as well as Union Square due to the gap filters... But come on! It shouldn't take 50 minutes to get from 125th Street to Bowling Green on an express run. Has anyone else struggled with this? Im now planning on taking the Bx5 bus to Simpson Street for the and riding that all the way down to Wall Street. Any thoughts? Grand Central platform on the is like an ice skating rink. This morning, the overcrowding at the station was so bad that the conductor announced at 59 Street that there was severe crowding at Grand Central and that if you weren't getting off at Grand Central, move away from the doors and into the center of the car to make room for boarding passengers... and the conductor was not kidding! The platform at Grand Central was slammed and it took over 5 minutes for the doors to close and the train to pull out of the station... I knew Lex was in bad condition when the platform conductor was advising passengers to stay on the instead of transferring to the .